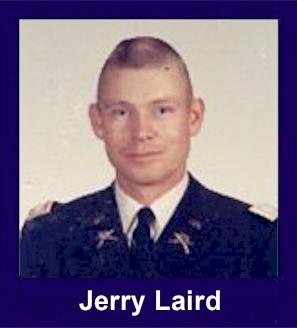 The 35th Infantry Regiment Association salutes our fallen brother, MAJ Jerry Proctor Laird, who died in the service of his country on January 22nd, 1969 in Pleiku Province, Vietnam. The cause of death was listed as Small Arms/AW. At the time of his death Jerry was 33 years of age. He was from Allentown, New Jersey. Jerry is honored on the Vietnam Veterans Memorial at Panel 34W, Line 59. The decorations earned by MAJ Jerry Proctor Laird include: the Combat Infantryman Badge, the Parachute Badge, the Silver Star, the Bronze Star, the Purple Heart, the Air Medal, the National Defense Service Medal, the Vietnam Service Medal, the Vietnam Campaign Medal and the Vietnam Cross of Gallantry with Palm Unit Citation. Chu Pa Mountain, Pleiku Province, was the site of a combined A and D 1/35 assault on January 21-23, 1969. Also known as Hill 1485, Chu Pa was located about: 16 km due west of Plei Mrong, 8 km east of the Se San river, and 36 km southwest of Kontum. It was often used by the NVA for a staging area. The assault was bitterly opposed from the start and resulted in significant U.S. casualties including the shooting-down of a fully loaded Medevac. To provide additional support and coordination to the battalion net, 1/35 XO Major Jerry Laird and two radiomen accompanied Alpha Company on the operation. On the morning of the 22nd, as Alpha attempted a link-up with the Delta perimeter, Major Laird and one of his radiomen, twenty-year old Sp4 Douglas Ross from Temple City, California, were among a group of soldiers unable to reach the perimeter. Pinned-down 40 meters from the perimeter and under heavy small arms and grenade attack, the group was forced to seek cover in caves where the survivors spent the night. Major Laird's body was discovered the next day.